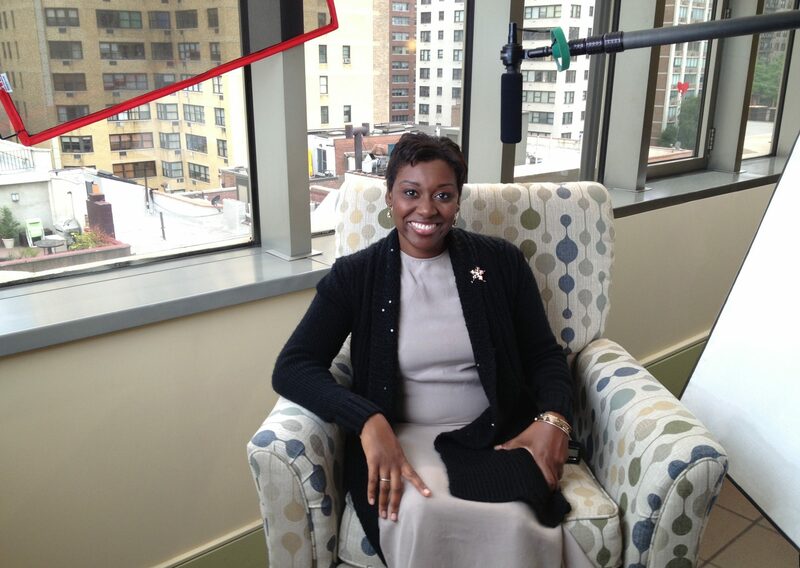 Helping companies and individuals spread the news about the purpose in their work. There are few things New Yorkers love more than a quality brunch experience where the weather is (still) gorgeous, the drinks are flowing, and the food is phenomenal. The New York Urban League’s recent Black and White Champagne Brunch brought home way more than just bubbles and a great time. The organization’s third annual event was also an excellent opportunity to meet and break bread with some of the city’s most progressive and visionary African Americans. Held at the stunningly beautiful waterfront restaurant La Marina, the event honored Camille Joseph Goldman, vice president of State Government Affairs at Charter Communications. Event leadership included New York Urban League Board Chair Jeanine Conley and John Daves; Elsie McCabe Thompson and NYUL Board member Bill Thompson; and the afternoon’s honoree, Ms. Goldman and Jason Goldman. First things first, let me get the most important question out of the way: The food was outstanding! Delectable fried chicken sandwiches and fresh fruit skewers paired with overflowing bubbly is exactly how you kick off a Saturday on the waterfront. I barely touched the buffet afterward, I was having such a blast! Sometimes we find inspiration in the strangest, most unexpected places in life. Beethoven’s long, solitary walks in the forest were where some of his greatest musical masterpieces were composed in his mind. Frida Kahlo’s vivid expressions of her proud Mexican heritage, and its bold depictions of nature were inspired by time in her personal garden. While it’s wonderful to seek out an inspiring place for our own endeavors, it’s a little tough when you have eight million neighbors and live in a concrete jungle. 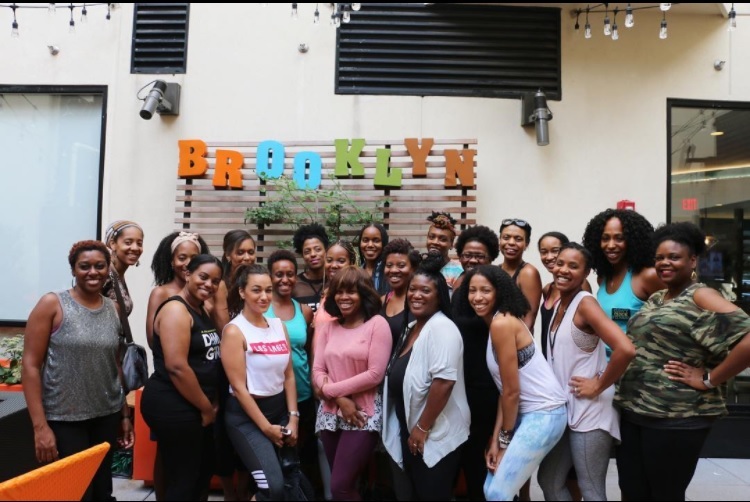 A little over a week ago, I attended a wellness retreat hosted by the women of Sisterhued at EVEN Hotels in Brooklyn. The event blessed me in many ways that day, but the most significant takeaway from that experience was what happened when this girl who is notorious for showing up on Caribbean time arrived early. In the quiet moments before the event started, I had an opportunity to sit and chat with mindfulness expert Ananda Leeke and her niece. Always passionate about my journey with yoga, I shared with Ananda its influence on my life in the past year, spiritually and also physically. I’d adopted the practice on doctor’s recommendations to combat sudden chronic injuries, but the holistic benefits quickly eclipsed my physical transformation. Although it hadn’t been top of mind, I had forgotten that I started this process with a goal, and our conversation brought it all together. With a laser-like clarity and accuracy, Ananda made an observation about where my practice was taking me. The feeling that came over me in the next few seconds? That is how you start off a wellness retreat: with intention. I’m still reflecting on that conversation days later and incorporating that intention into my work. The entire day left me with a few observations about personal wellness and a few gems about one’s approach to business. There is a great benefit to showing up early. Those quiet moments before an event begins are an excellent opportunity to network and connect at an unhurried pace. It also gives early bird attendees the time to find their groove and maybe even identify before the real fun begins. Self-care is so important to the well-rounded entrepreneur. You can’t burn it at both ends to build and sustain a business while neglecting your physical, mental and spiritual health. Your focus suffers, you won’t be able to serve clients with your best creative fruits, and your productivity might hit its lowest levels without you really figuring out why. Never underestimate the power of a good sister girlfriend to help you along the way. The most impactful part of the Sisterhued retreat wasn’t so much in what was said, but what wasn’t. 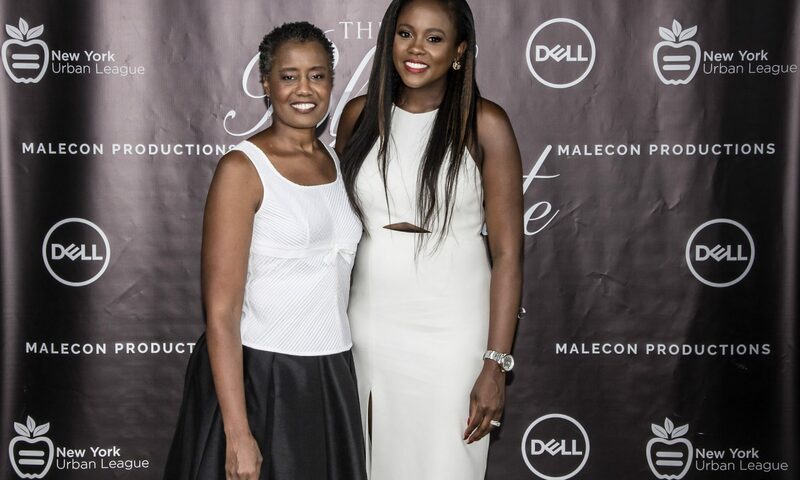 Seeing these women share they ways in which they worked together as a team to manage multiple businesses while also maintaining busy households was the perfect prescription for attendees in the same boat. The message was clear: you can’t do it all alone, and even if you have one great friend, fellow entrepreneur and accountability partner, that little bit of support goes a long way. It’s so easy to get caught up in deadlines and goals that we miss important opportunities to take care of ourselves as human beings. I look forward to seeing how the incorporation of these valuable lessons impacts me personally and professionally during these last few months of 2017. Congratulations to client Radial for a great placement in LoopTT. 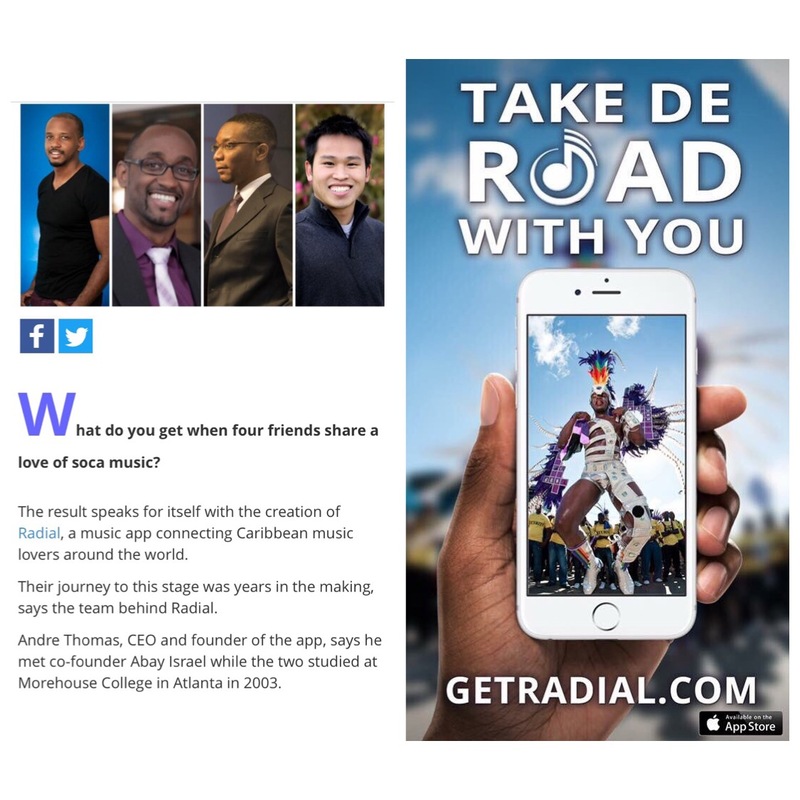 A streaming app dedicated to bring “soca to the world,” Radial has been uniting Caribbean music- and tech-loving members of the diaspora in the best possible way. I began working with Radial during Trinidad and Tobago’s 2017 Carnival season when the company received an opportunity to launch a digital advertising campaign within Piarco Airport. Since then, Radial has been building momentum with plans to continue sharing itsl brand throughout the Caribbean, United States and Canada. Congratulations to Radial Founders for a great article in LoopTT telling the story of how the brand came to be. Working with Radial, we’re creating a strategic plan that will ensure that soca lovers will enjoy the Carnival experience year-round, when they want it, wherever they are. Curious about what unique partnership opportunities might be appropriate for your business? Let’s talk today about a consultation. Welcome to my site. The next few days will be super exciting and I’m delighted to have you along for the ride. In the meantime, check out my latest update on five tips to help nonprofits when confronting a crisis. If you run or work for an organization and you’re faced with a problem, confront it head-on, own it, and these tips should help you put forth the best image in front of your board, donors and anyone who loves and supports your mission. Check out my "Hire Me" page and let's get started sharing your vision today. Proud mom, chicken farmer, hearty laugher, cheerleader and occasional thinker. I also write things while helping people and companies find their unique stories. I'd love to help you find yours.